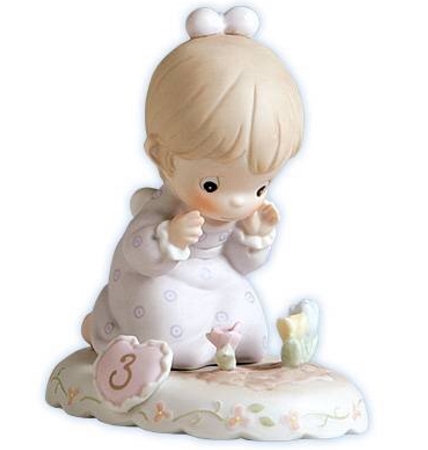 This figurine is of a little girl kneeling looking at three tulips. This is an age 3 piece in the Growing in Grace series. She is approx. 3.0 inches tall.